My work is always abstract, always minimal. Most of my work is large scale and wall-based. In some projects I have worked in 3 dimensions. The variable factors are dependent on the nature of the exhibiting space, both in visual terms and how the space can be used. So work develops from an interaction between my current thinking and a response to the exhibiting space. Working with the space and affecting the space is important. Colour is a major element in my work. 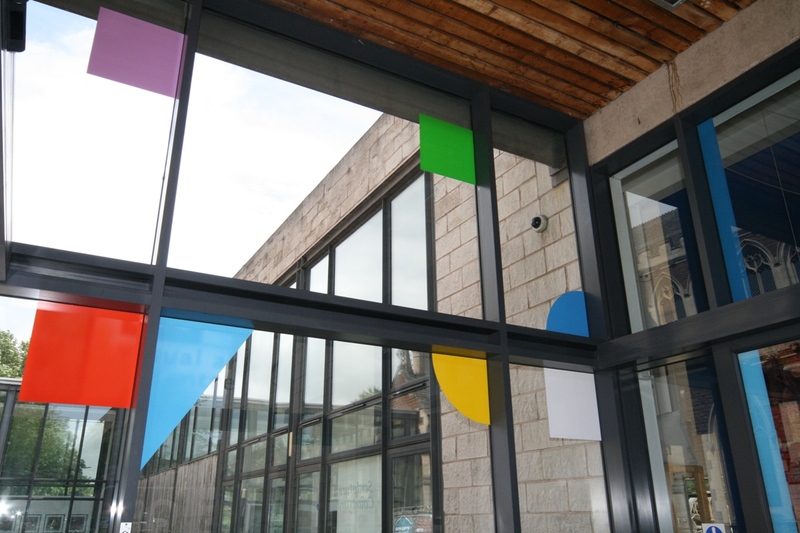 In recent projects I have worked with colour spatially, installing areas of colour in an architectural context. In all my work, 2D/3D, a re-looking at the space, and the viewer's changing experience from different angles/ positions is integral to my thinking. My Art practice includes exhibiting in gallery and non gallery spaces and public art commissions.